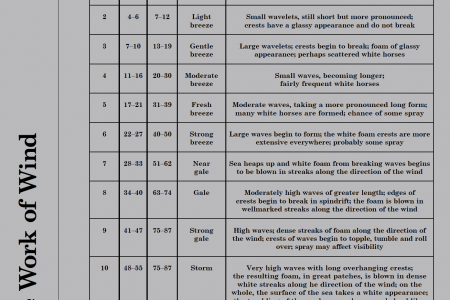 In 1807, the British sea admiral Sir Francis Beaufort published the Beaufort Scale of Wind Force as an index of thirteen levels measuring the effects of wind force. It was first used for the practical navigation of nineteenth-century ocean space; through a system of observation, wind speed was measured by observing how it composes at sea (e.g. waves are formed) and decomposes on land (e.g. leaves are blown from trees, chimney pots lifted, houses are destroyed). In 2018/19, the project series THE WORK OF WIND: AIR, LAND, SEA developed by Christine Shaw (Director/Curator of the Blackwood Gallery, University of Toronto Mississauga) appropriates the Beaufort Scale of Wind Force as a readymade index for curating a site-specific exhibition, a broadsheet series, a public program, and a publication divided into three conjoining volumes published by K. Verlag. 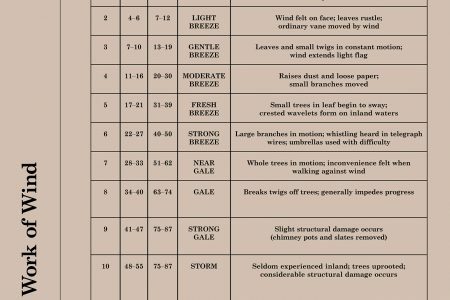 The first book, entitled The Work of Wind: Land, and the second book, The Work of Wind: Sea, will each contain a reflective essay on the Beaufort Scale, an intermezzo off the scale, and thirteen responses to the scale’s thirteen distinct forces. Continuing K.’s curatorial approach to publishing, both publications invite the “reader-as-exhibition-viewer” to navigate a broad multidisciplinary field of inquiry and experimentation, sensing a rise of intensity in form and content as the pages turn from 0 (Calm) to 12 (Hurricane). Contributors include artists, curators, atmospheric scientists, designers, poets, oceanographers, architects, anthropologists, art historians, media archaeologists, geologists, sociologists, economists, physicists, geographers, and more. The final book, The Work of Wind: Air, will bring together an analysis of the material flows of Mississauga’s Southdown Industrial Area and the artist projects that circulated through it during the site-specific exhibition The Work of Wind: Air, Land, Sea (14–23 September 2018). THE WORK OF WIND: AIR, LAND, SEA project series aims to foster a deeper public awareness of the complex entanglements of ecologies of excess, environmental legacies of colonialism, the financialization of weather, contemporary catastrophism, politics of sustainability, climate justice, and hopeful resilience. Across a variegated set of curatorial and editorial instantiations, the Beaufort Scale of Wind Force will become a diagram of prediction and premonition in the context of our accelerating planetary extinction. While the title might suggest a weather project, it is not about wind but of wind, of the forces of composition and decomposition predicated on extraction, dispossession, accumulation, and infrastructure. The Work of Wind: Air, Land, Sea book series is co-published by the Blackwood Gallery and K. Verlag.